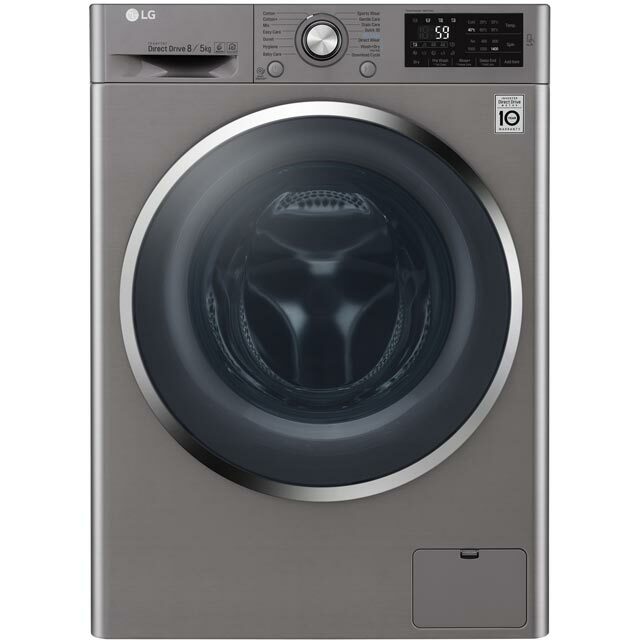 Enjoy a better clean with this LG washer dryer. It has an 8kg drum capacity, making it a must-have for medium-sized households. Thanks to its A energy rating, this model promises to be kind to the environment whilst leaving your clothes spotless. 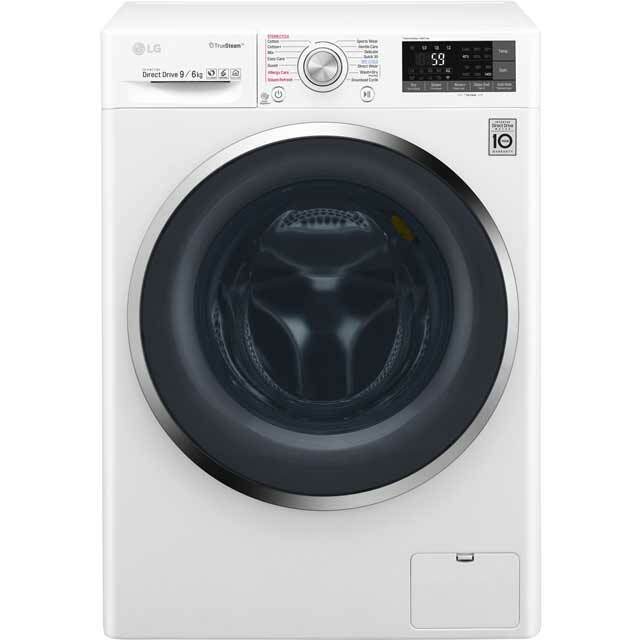 It also has a fantastic quick wash option which can leave your load wonderfully fresh in as little as 30 minutes. There’s no need to worry about creases either - with its 6 Motion Direct Drive, the drum uses various movements to prevent any unwanted crinkles. These motions make your clothes tumble, roll and swing, treating them to a powerful yet delicate wash, while taking the best care of your fabrics. The washer dryer is really great but buyers should be aware that apple have not given permission for the smart ThinQ app to use NFC to communicate with the tag on chip meaning the downloadable cycles are not available to iOS users! This is not a problem for me as I bought the washer for it’s actual washing capabilities, for those who are attracted by it’s smart features and have apple devices, you should probably look elsewhere! Easy to use, looks fab and smart, is nice and quiet. Love it!